The second annual Better World Day was celebrated on October 18th. at Hyland. 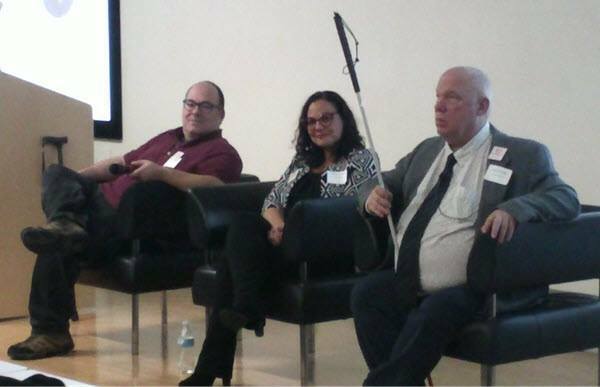 The event was kicked off with panel discussion about leveraging accessibility and user experience with representatives from Maltz Museum of Jewish Heritage, Cleveland Sight Center, and Kelvin Smith Library. Then Todd Bertsch of Evolve Creative Group delivered a top notch Keynote packed with stats and trends on accessibility. As we move forward into the future, focusing on accessibility and why it’s of strategic importance for organizations will be apparent. If we can make the experience better for those that are visually impaired, then we are not only providing more job opportunities but we are making the experience better for everyone. Thanks to all that attended and supported this event.